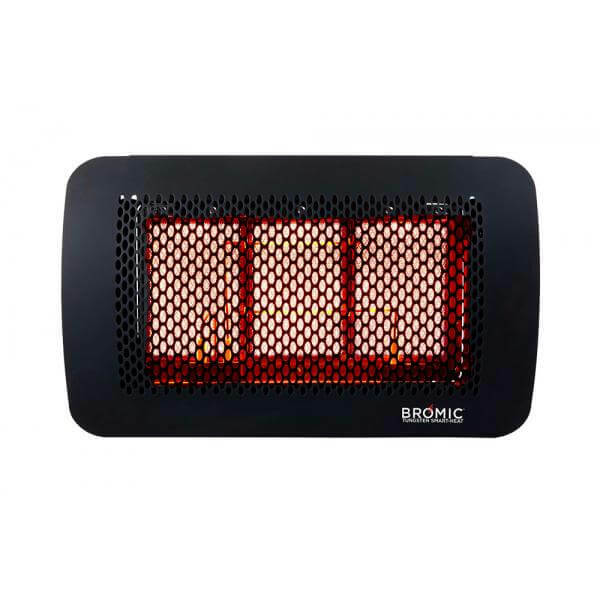 Bromic heaters have revolutionised the industry with innovative outdoor electric and gas heating solutions for both commercial and residential applications that feature a range of benefits never seen before in traditional Bromic gas heaters or Bromic electric heaters. Born out of a desire to develop world first products, the Bromic Heating Smart-Heat™ range combines revolutionary technical advancements with a modern design aesthetic. Their engineers have carefully considered the end user requirements of each outdoor heater in the range to ensure the delivery of the highest standards of efficiency, usability and performance. Stylish and unique, Bromic Heating’s Smart-Heat™ range has been designed to blend into any contemporary setting. Available as gas or electric powered options and with the addition of the new portable model – Bromic heaters are the smart choice for any outdoor space, from a domestic patio area to a commercial dining terrace. Take advantage of choosing from Bromic’s selection of commercial outdoor gas heaters from their Platinum and Tungsten gas heater range. Both outdoor gas heater ranges from Bromic are more than capable of servicing commercial outdoor areas. 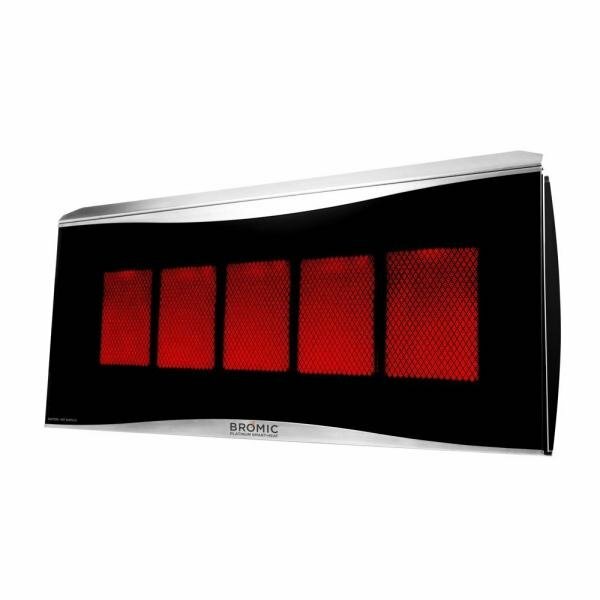 Take a look at our selection of Platinum gas heaters from Bromic, which promise to deliver an even dispersal of heat. Built with premium materials, you can count on long lasting performance and durability. The elegant design of the Platinum gas heaters incorporate industry-leading technology, such as slow-release ceramic burners, which are eco-friendly and allow for far-reaching heat emittance. 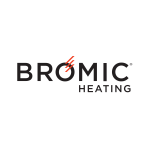 These gas heaters incorporate Bromic’s patented direct ignition technology which eliminates the need for a pilot light and allows for instant ignition when you need it. Thanks to the heater’s patented screen and ionisation probe housed within its chassis, the gas heater is especially equipped to be resistant to wind with speeds of up to 18 km/h or 11 mph. You will also be able to easily position the heater with the easy pivot bracket, which allows for directional control. 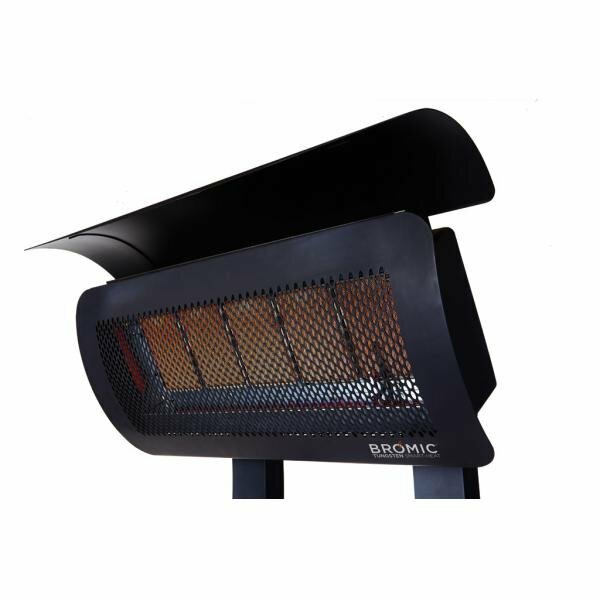 The Tungsten outdoor gas heater from Bromic is equally as durable and versatile as the Platinum gas heater range. The pivot arm allows for easy positioning, with 25° bi-derivational movement each way. The mesh screen housed in the range of Tungsten gas heaters from Bromic innovatively manipulates infrared heat in order to maximise performance. 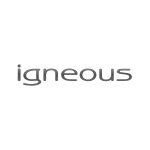 Thanks to the incorporation of Bromic’s Smart System, the Tungsten gas heater range is incredibly easy to set up and use and also has wireless control capabilities. 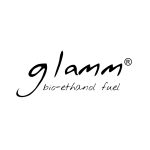 The seamless design of this range, which includes a stainless steel casting, ensures that any tampering is prevented. The 300 model is capable of reaching up to 15m², and the 500 model can reach 20m². Not unlike our selection of Bromic’s gas heaters for outdoor environments, Bromic’s commercial outdoor electric heaters also come available in two different variants: Platinum and Tungsten. Available in black and white finishes, these outdoor electric heaters have been specifically designed for low-clearance and design focus spaces. The slimline stainless steel which encompasses the heating element is corrosion-proof and is paired seamlessly with a Schott tinted ceramic glass screen. Capable of delivering up to 25% more heat in a smaller footprint enclosure compared to other products sold on the market today, this range guarantees high performance and are environmentally friendly. The stunning design of this range blends into the background and boasts minimal light emission, so you no longer have to worry about unsightly heating elements in your semi-enclosed spaces. 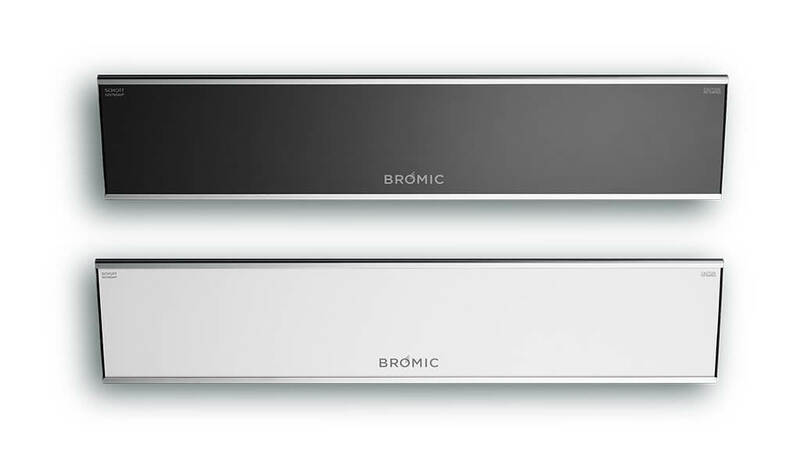 With single switch activation and smart control systems incorporated into these electric heaters, you can take advantage of Bromic’s ‘set-and-forget’ ethos. The 2300W models are capable of reaching 6m² and 10m² for the 3400W model. The Tungsten Electric heaters are high-performing, radiant heaters for outdoor and semi-enclosed spaces. 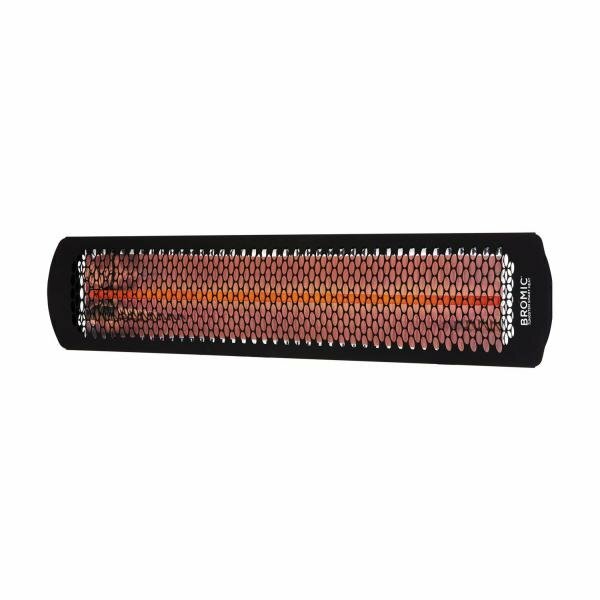 Boasting high temperature durability, these outdoor electric heaters are suitable for a variety of environments. The extended body and heat reflector built into the chassis create a warm and inviting ambiance. The durable, translucent fused quarts element incorporated into the design houses a thick steel coil responsible for creating the warm, red glow. The innovative mirror-finished Parabolic Specular Reflector (PSR) also improves the efficiency by redirecting any infrared dissipated by the heater back into the room / outdoor space. Using the included bracket, you will be able to easily install the heater to the wall, should you choose. 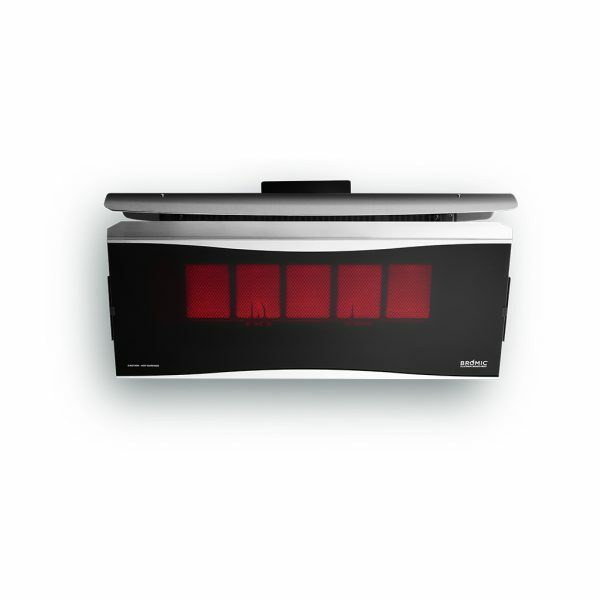 With models ranging from 2kw – 6kw, you can rest assured that these heaters will easily heat up your outdoor areas.